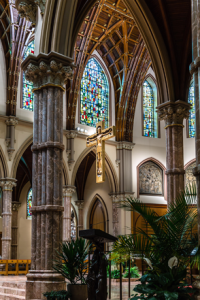 As missionary disciples of Jesus Christ we celebrate, transform, and engage our diverse Cathedral parish through worship, life-long formation and service to one another. The Lord Jesus knocks at the doorstop of our hearts. 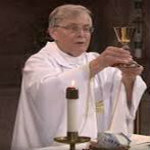 As the Rector of Holy Name Cathedral, I welcome you to our marvelous website. Thank you for visiting us. We are a dynamic and vibrant downtown Faith Community with over 5,500 households. As we gather weekly around the Table of the Lord, we are blessed with many diverse ministries involving people of all ages. 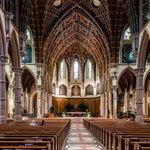 We are also Chicago’s one and only Cathedral, the Church of our Archbishop, Blase Cupich. 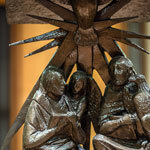 As a famous Cathedral, our parish is welcome to thousands of visitors from all over the world. Catholic means universal and all are welcome! May we always be passionate serving the People of God. Church is people and may Holy Name Cathedral welcome you home. If you live in the area, please register and become a parishioner and get involved. I look forward to meeting you! Catch me after Mass and introduce yourself. 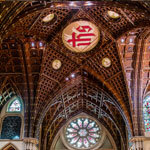 Beautiful and historic Holy Name Cathedral – a prayerful landmark! 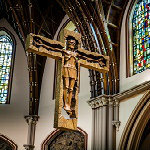 It asks that we use our time, talent, and treasure to fulfill the depth of our commitment to Holy Name Cathedral. and friends of the Cathedral, as well as effectively communicate the needs of the parish and the opportunities for involvement. good work and advance the mission of the Church.